what is body of maestro edge? Maestro Edge is made up of fiber and its cousin, the Duet gets a metallic body. The use of plastic fiber has reduced the weight of Maestro Edge, thereby increasing its performance over the Duet 110. It comes with a 110.9 cc, single cylinder air cooled engine developed in house by Hero. It produces a max of 8.31 BHP @ 8000 rpm and 8.30 NM @ 6500 rpm. The gearbox is a ‘Variomatic Drive’ automatic unit and returns a company claimed mileage of 65.8 kmpl. 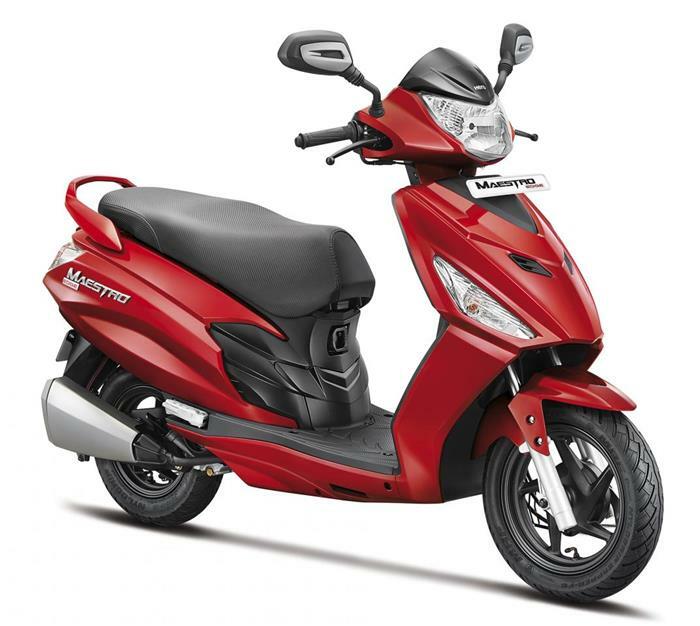 The scooter gets best in class features like engine immobilizer, boot space lamp and USB charging socket. It gets a price tag of INR 49,500 for the LX variant and INR 50,700 for the VX variant.